Since 1992 we have been designing custom tool inventory systems for utilities, construction companies, and more. Our newest GigaTrak Tool Tracking Software draws from this expertise, giving our customers an even better way to reduce losses and find equipment when it’s needed! Find out how you can better manage your tools, avoid costly duplications, and return your investment in as little as 3 months! Every organization has valuable equipment critical to its operations. Our Basic and Pro GigaTrak Asset Tracking Software applications help you manage fixed assets and manage equipment through a simple “Check-In / Check-Out” process – to a person or location. Upgrade to the School (Enterprise) Edition, and additional options are available for students, faculty, or staff. 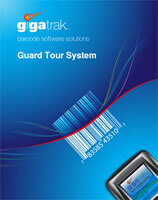 An exceptionally simple inventory solution, our GigaTrak Stores Tracking Software allows you to check-out parts and supplies, manage consumables, track medical materials, and more with a simple barcode scanning process. Order it, receive it, inventory it – then check it out and account for it! 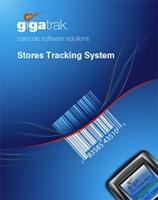 Storeroom Management or Supply Room Management, whichever you call it, we have the software solution. All large companies receive volumes of registered mail and packages each day, and even the average package tracking system can easily show you when these items were accepted. The challenge is knowing where they went after being received. GigaTrak has the answer. Our Package Tracking System uses a tracking barcode to receive, transfer, and deliver each item with minimal effort. It also includes the power to follow the trail of incoming registered mail and packages after they are receipted. Think of it as all-knowing delivery tracking: You’ll know who has it, where it is, and when it was last handled. Simple, effective, and quick-to-implement! What do you need to track? We will guide you to find the best solution to fit your needs.